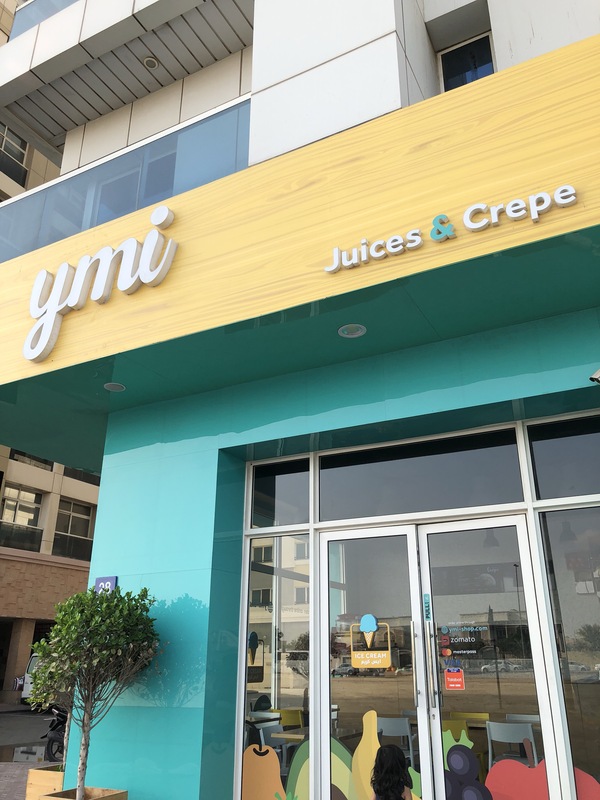 Ymi isn’t it such a catchy name , the new juice and snacks cafe opened up in barsha . The interiors are really done well , specially the menu display board it’s very catchy and appealing to the eyes. 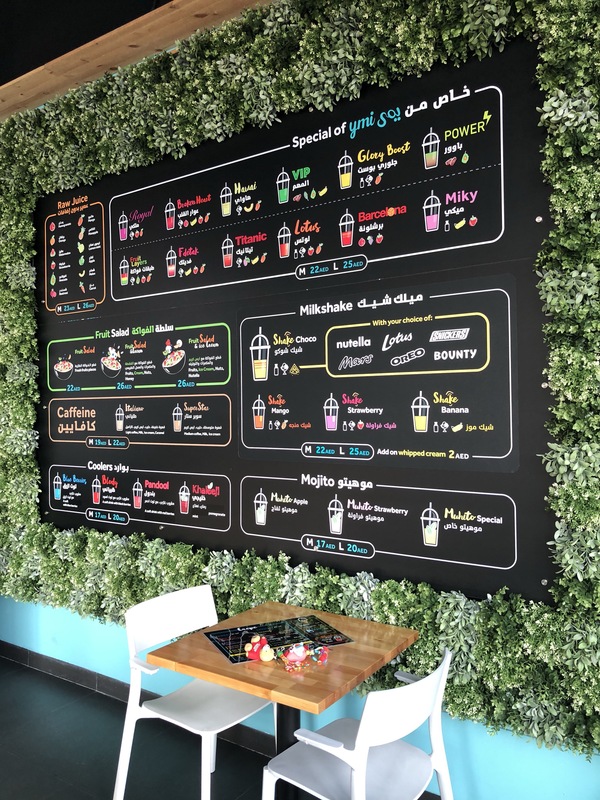 The live green wall effect with plastic leaves and the chalk board effect menu . Also just loved how they colour coordinated the store . All the names for the drinks were are also too funky . Catchy names and the menu had mini description of the juices ingredients. We had their broken heart a thick shake of strawberry, banana, mango and pomegranate. It was good tasted like cocktail kind . The snickers milk shake was too good , the best I had after a long . The coffee shake was just okay kind. Unfortunately we dint try their savory crepes , the crepe we had were the sweet version , Nutella crepe with bananas , I didn’t like that much. 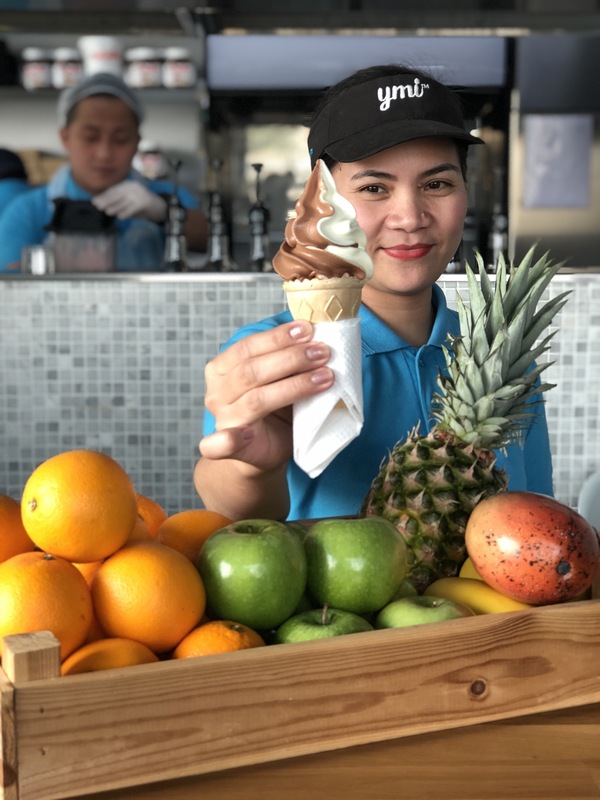 The place has just thick shakes , juices , crepes and ice softy . They could add in few more desserts to their menu like milk cake or any other bite size desserts . If your in that vicinity and crave for some thick milk shakes do stop by here . Other than that the concept is pretty much same other Cafeterias or Juice stores . The good part is , fortunately they have car parking near their cafe .